He’s fresh off the track, and has been lost all weekend. If you see him, call Jenn and Jason and let them know. 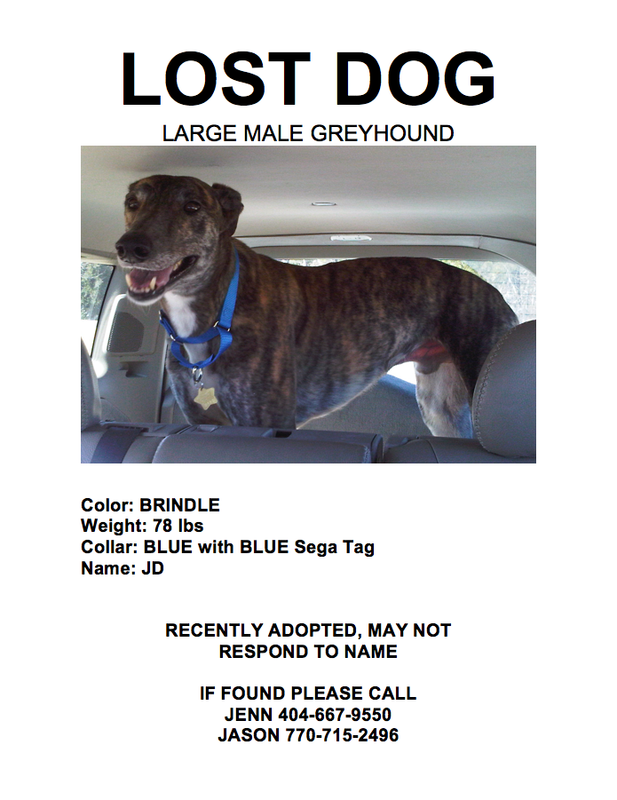 This entry was posted in General stuff and tagged greyhound, lost dog, rescue. Bookmark the permalink.